Comments: Perfect condition. Ships within 24 business hours. Satisfaction guaranteed!! 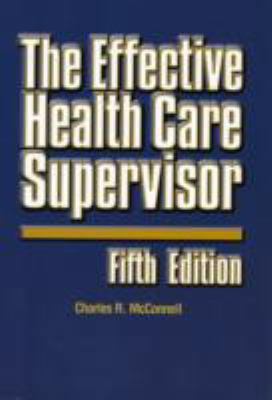 The fifth edition of this best-seller is packed with proven hands-on strategies, techniques, and tools to build and reinforce your management skills and meet the perpetual challenges health care superMcConnell, Charles is the author of 'Effective Health Care Supervisor', published 0007 under ISBN 9780763724979 and ISBN 0763724971.